In the latest evidence of EHR dissatisfaction, a recent survey of more than 1,000 health care professionals concluded the federal government got a bad deal on the billions of dollars it invested in EHR systems. A tidy 61% of respondents said the return on this investment had been poor or even terrible. On a more upbeat note, it turns out EHRs can be optimized to help health care organizations receive a return on their own investment. Hospitals such as Carolinas HealthCare and Mercy Health of St. Louis are adding "payer intelligence" to their EHRs to enable the quick retrieval of information ranging from accurate patient estimates and the status of submitted claims to confirmation should a service require an authorization. While all of these newfound capabilities can increase hospital cash flow, automating prior authorizations can also head off denials. This article details how hospitals can implement a denial prevention strategy straight from their EHRs. Having a means to obtain prior authorization answers at scale is a growing need for hospitals. Most contracted physicians now expect the hospital to take on this role, having been primed by freestanding surgery and imaging centers that obtain authorizations on their behalf. To stay competitive, hospitals must offer the same convenience. Taking control of authorization requests also helps reduce a hospital's denial risk—but not without an increase in full-time employee costs. When authorizations are requested manually, the task is usually divvied up among employees, each with his or her own stack of authorization requests to wade through. Insurance companies typically won't address more than three requests per phone call, making the process slow moving. The same goes when staff seek authorizations via the payer's website. Requesting a single authorization takes at least 15 minutes while the staffer copies and pastes both clinical and nonclinical information into various fields. Therefore, while taking over authorizations gives hospitals more leverage to prevent denials, there is a markedly increased cost associated with it. And this doesn't take into account the considerable time required to stay up to date on payers' constantly evolving rules and requirements on what needs prior authorization. By contrast, embedding payer intelligence feeds into the EHR can enable hospitals to automate roughly two-thirds of the entire authorization process at an unprecedented scale and speed. Such feeds are powered by web bots that automate the process of logging in to payers' websites (using the provider's credentials) and inputting much of the patient data needed to make the request for authorization. Additional technology within the feed autopopulates patient data, drawing on an authorization rules library of hundreds of thousands of payer rules that are continuously curated and expanded. Given the pace at which payers introduce and revise authorization requirements and rules, this eliminates the manual burden and expense of authorization content management. As a result, staff need to answer only clinical questions. Then the web bots step back in to continuously check the claim status, returning with the answers as soon as they appear on the payer's website. These answers can be routed into any chosen workflow within the EHR. Using an Epic-specific example, answers can be included in encounter-level data fields within the referral and/or authorization record. For organizations using an EHR that does not have automated workflow or locations within the patient record to house returned data, response formats from payers are standardized into a list, with any reasons for authorization denial clearly explained. Note that these payer intelligence feeds need not be embedded via a full integration into the EHR. An application programming interface (API) can achieve this as well. By using REST frameworks that have aided in developing web services, such APIs drive enriched, accurate, and actionable payer information directly into a health care organization's existing EHR. Moreover, this data feed can be embedded as part of nearly any workflow not only for prior authorizations but also to confirm patient eligibility and medical necessity, assist with preservice patient collection, and other revenue cycle processes. Another way automating authorization requests reduces risk of denial is by freeing up valuable staff hours previously wasted on often mundane authorization requests. A prescription refill, for example, is likely going to be authorized, yet staffers can spend the same amount of time chasing after its authorization status as they do a complex procedure. • Date of service/Out of range. Alerts users that the obtained authorization does not match the date range of the scheduled service. • CPT mismatch. Alerts users that the authorization approved does not match the scheduled CPT code (or vice versa). • Facility mismatch. Alerts users that the obtained authorization does not match the facility of the scheduled encounter. • Additional authorization found. Alerts users that additional CPTs have been authorized in addition to scheduled services. Most providers struggle with managing authorizations. Finding the optimal balance of resources to keep denials in check while attempting to keep up with payer bulletins about the newest changes in requirements is daunting to say the least. Therefore, hospital financial leaders should be aware that automation technology, embedded into the EHR or even other systems of choice, can prevent denials. For example, after Carolinas HealthCare integrated payer authorization intelligence into Epic, the health system experienced a nearly 25% decrease in denied claims. In turn, it reduced denied dollars by almost one-half. Heading off denials before they occur is obviously a preferred strategy over the resource cost of fighting with payers about them after the fact. 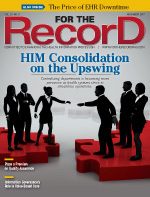 And with the evolution of EHRs, providers are now in a better position to do the former. If providers can also enjoy a surprise return on their EHR investment, so much the better. — Heather Kawamoto is vice president of product management at Recondo Technology and a thought leader on how hospitals can optimize the revenue cycle within an increasingly complicated payer mix.